All prices stated below are in Singapore Dollars (SGD). AFA Shop at SCAPE will not be selling any tickets on event days (9.11.2012 Friday to 11.11.2012 Sunday). Please purchase all tickets including Festival and Festival + Stage tickets at the AFA12 venue at Singapore Expo during the event days outside Hall 7.
per day Entry into exhibition grounds, including exclusive merchandises in Akiba Town, access to Maid Café, Butler Café and other fun activities in AFA 12 main exhibition grounds. per day Grants full access to exclusive main stage activities and content, such as Special Guest Appearances, Anime Presentations, AFA Regional Cosplay Championships and more! Festival and Festival + Stage tickets for 10.11.12 (SAT) and 11.11.12 (SUN) will be available for sale on 09.11.12 (FRI). Festival and Festival + Stage tickets for 11.11.12 (SUN) will be available for sale on 11.11.12 (FRI). These EventClique counters are for sales and collection of tickets purchased via EventClique, including Love Anisong, Madoka Magica and Marble Fashion Show tickets. Redemption of I Love Anisong items will be available from these counters. Redemption of Madoka Magica and Marble Fashion Show. THE AFA12 ELECTRIC GROOVE - ANISONG WORLD STAGE WILL BE HELD AT THE MAX PAVILION AT SINGAPORE EXPO! ALL TICKET TIERS AVAILABLE ONLINE NOW! * Please note that tickets are not available for sale at the AFA Shop in SCAPE. 09 NOV 2012 (FRI) ONLY. AFA Festival + Stage tickets for 10 NOV OR 11 NOV depending on date selected. PLEASE NOTE! The Anisong Basic Package and Tickets do not come with the festival or stage AFA12 tickets. Purchases to be made separately. There will be a single, additional $5 ticketing charge for each 3 day package purchased and a single, additional $3 for each 1 day ticket purchased. Purchase "I Love Anisong" ticket(s) through the Eventclique website. Collect "I Love Anisong" ticket(s). Tickets can be collected at the venue. Venue collection details will be made known at a later time. Redeem your AFA Concert Pack at the dedicated "I Love Anisong" redemption counter at the venue (Check AFA website closer to the event date for location and opening times). The Festival+Stage tickets are in the form of wristband and are to be worn at all times. Enter the concert area before the "I Love Anisong" concerts through the entrance of MAX Pavilion. 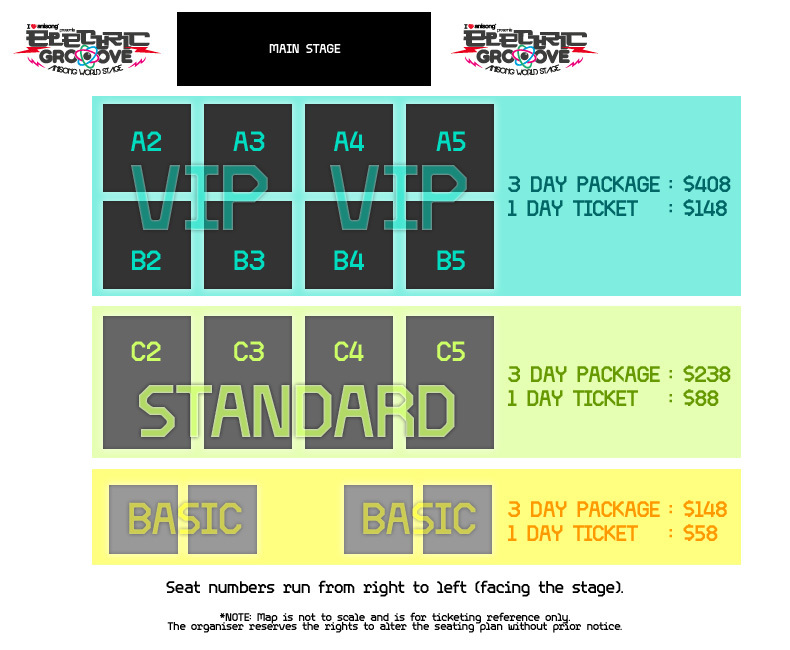 Early bird 3 day VIP packages will go on sale on the 26 Sep 2012 (Wed) at the Eventclique website at 12pm. 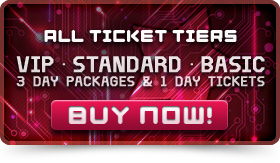 Normal 3 VIP packages, 1 day VIP tickets, 3 day Standard packages, 1 day Standard, 3 day Basic Packages and 1 day Basic tickets will go on sale on 03 October 2012 (Wed) at the Eventclique website at 12pm. How can I buy "I Love Anisong" concert tickets? You can buy the tickets on the Eventclique website. Please note each transaction is limited to a maximum of 10 package/tickets. How can I collect my "I Love Anisong" Concert ticket(s) if I purchased them online? You can collect the tickets at the venue. Please note that the confirmation e-mail that is sent after purchase and the purchaser's NRIC or passport is required as identification to collect the tickets. Should the person who bought the ticket(s) be unable to pickup the tickets, a letter of authorization and photocopy of the person's photo ID will be required to be produced at the point of collection. Can I pay cash for the "I Love Anisong" concert ticket(s)? 3 day packages will have an additional, single $5 ticketing charge and 1 day tickets will have an additional, single $3 ticketing charge. What sort of ticketing plan is being used for "I Love Anisong" concerts? "I Love Anisong" concert is based on reserved seating. Where can I collect my Festival+Stage ticket and light stick? Do I need to show anything to redeem the Festival+Stage ticket and lightstick? Please note customers are required to present your Eventclique ticket(s) at the counter in order to redeem the items. An indication will be made on the ticket(s) redeemed. Customers who have purchased any of the packages will be required to present all three tickets to redeem their items. Redemption will be refused if any of the tickets are not presented. Is there any deadline in purchasing "I Love Anisong" concert ticket(s)? Online ticket sales will be cut off the day before the concert on 08.11.12 (THU) at 1200h .The resumption of sales will be updated at a later time. I have booked "I Love Anisong" concert ticket(s) outside of Singapore; can I collect my tickets during the event day at the event venue? Can "I Love Anisong" Concert tickets help me gain entry to the festival? Only purchasing the VIP and Standard I Love Anisong tickets entitles you to Festival+Stage Access ticket(s). These tickets come in the form of a wristband and are to be worn at all times. Entitlements depend on the type of ticket(s) purchased. These tickets can only be redeemed at the venue. Please see the above for the opening hours of the counters. Will there be an opportunity to get an autograph to the "I Love Anisong"Artistes? Yes. However, only I Love Anisong Concert VIP ticket holders will stand a chance to get autographs. Note that all prices mentioned in the FAQ and the AFA12 website are in Singapore dollars. All overseas visitors may purchase their tickets through the Eventclique website. All I Love Anisong concert tickets are now available online. Click here to read more about Accommodation in Singapore and how to get to AFA12. - Friday 09 November 2012, Saturday 10 November 2012 AND Sunday 11 November 2012. This package consists of three tickets, one for each day. - Friday 09 November 2012, Saturday 10 November 2012 OR Sunday 11 November 2012. - Friday 09 November 2012, Saturday 10 November 2012AND Sunday 11 November 2012. Each ticket admits one person to designated "I Love Anisong" Concert area. All sales are final and no refunds will be entertained. Entry will be refused if tickets presented have not been issued by Eventclique. The Ticket Holder voluntarily assumes all risk and danger incidental to the event whether occurring prior to, during or subsequent to the actual concert, including any death, personal injury, loss, damage or liability. Singapore law shall govern the sale of all tickets and all Ticket Holders agree to submit to the exclusive jurisdiction of the Singapore courts. Strictly no photography, audio and video recording is allowed during "I Love Anisong" concerts. We reserve the right to remove those caught doing from the venue without refund. The organizer's decision is final and no correspondence will be entertained.